2 mil bags -most popular thickness used for general, light to medium weight products to protect them from dirt, dust and moisture. Available in red, blue, yellow, green and black. 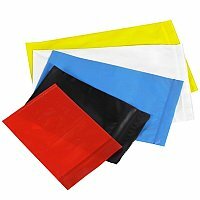 Browse these categories under "Poly Bags - Colors"